Do you have itchy, red, watery eyes or a stuffy nose? It’s allergy season again and most likely you or someone you know has allergies. This is something I personally have to deal with each year. I love spring time and being outdoors but pollen drives me back inside when least desired. Our immune system is in overdrive and what we are really suffering from is hay fever! Hay fever usually refers to allergic reactions to outdoor airborne materials such as pollens and molds. Hay Fever is caused by many different types of pollen. In this article we are going to discuss three of the most common types: Ragweed, Grass, and Birch. Allergy problems typically begin midsummer when the pollen grains are released by mature flowers. The release of pollen is said to be the densest in rural areas right after dawn. In urban areas, this peak is reached between 10am-3pm. The pollen grains have a capacity to travel great distances and have been found 400 miles out in the ocean. Researchers are finding that vegetables and fruits contain the very same proteins as tree, grass and weed pollen, which are called profilins. When a child or adult eats an offending food, the body’s immune system responds as if it were actually ingesting pollen. Ragweed grows throughout the United States and prefers dry, sandy soils located. 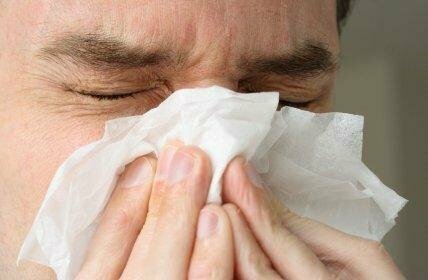 Symptoms include eye irritation, runny nose, stuffy nose, puffy eyes, sneezing, itchy nose and throat. For those with severe allergies, asthma attacks, chronic sinusitis, headaches and impaired sleep are symptoms. If you are allergic to ragweed, you could also have reactions to cantaloupe, banana, sunflower seeds, zucchini and cucumber. Grass pollen allergies are more difficult to determine. 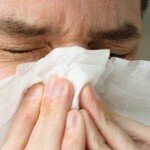 Some of the symptoms of grass allergy are: breathing disorders, sneezing, congestion, constant dry cough, sore throat. If you have a grass allergy you could also have reactions to peaches, celery, melons, tomatoes and oranges. Birch trees release pollen between March and May each year. If you have hay fever you will most likely experience the worst symptoms in April. Symptoms include eye irritation, runny nose, stuffy nose, puffy eyes, sneezing, and inflamed, itchy nose and throat. If you have severe allergies you could experience , asthma attacks, chronic sinusitis, headaches and impaired sleep are symptoms. If you are allergic to birch trees you could also have reactions to apples, pears, peaches, apricots, cherries, plums, nectarines, kiwi, carrots, celery, potatoes, peppers, parsley, coriander, walnuts, almonds, walnuts. Who wants to stay inside during the most beautiful time of the year? I certainly do not! BioVeda Health and Wellness Center can help. Contact a BioVeda Health and Wellness Center near you to learn how the BAX 3000 and the BAX AURA can help you or someone you love during hay fever and pollen season! You could be back outside and enjoying the beautiful weather!